Long-running rapper Young Jeezy may have made some unwanted enemies in the notorious Hells Angels Motorcycle Club after allegedly lifting one of their insignia for his own streetwear line. 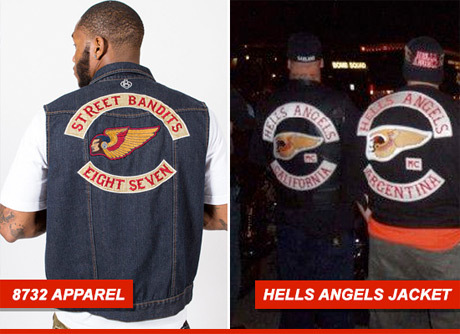 Rather than busting up his kneecaps, however, the Hells Angels have simply filed a lawsuit against Jeezy for a back patch on one of the denim vests from his 8732 Apparel line. TMZ reports that the Hells Angels claim that Jeezy's denim vests are too similar to their iconic apparel and will cause confusion. As a result, they want all of the profits Jeezy has made from the shirts, along with a judge to block anymore vests from being made. After all, when these vests inevitably hit the discount racks at Winners, there will be a lot of cheap rap fans dressed like knock-off bikers.